Will this be your first time at an EGU General Assembly? With more than 15,000 participants in a massive venue, the conference can be a confusing and, at times, overwhelming place. To help you find your way, we have compiled an introductory handbook filled with history, presentation pointers, travel tips and a few facts about Vienna and its surroundings. Download your copy of the EGU General Assembly guide here! And if you plan to apply for funding support to attend the General Assembly, don’t forget the deadline is just around the corner: the call closes on Saturday, 1 December. For details on how to submit your abstract and apply to the Roland Schlich travel support scheme at the same time, check out this blog post from a few weeks ago. EGU 2019 will take place from 7 to 12 April 2017 in Vienna, Austria. For more information on the General Assembly, see the EGU 2019 website and follow us on Twitter (#EGU19 is the official conference hashtag) and Facebook. GeoPolicy: Science for Policy at the 2019 General Assembly! 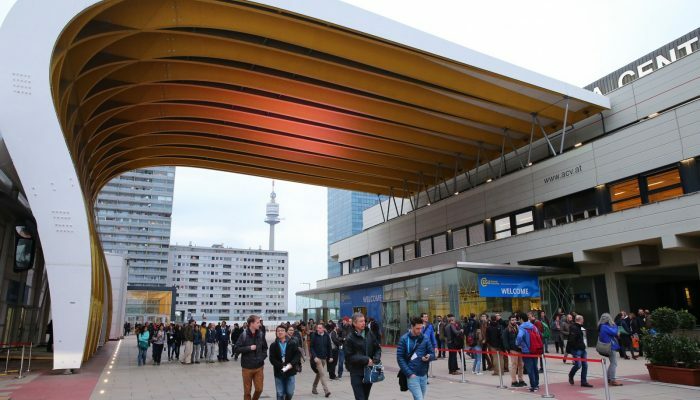 Explore the Exhibition at EGU 2016! Announcing the winners of the EGU Photo Contest 2017!